Are you recently joined in Facebook, then very fast you might have sent many friend request and made many friends. you might have receiving many emails in the name of Facebook notifications. Aren’t you? Yes, because your intention is to make more friends and your friends will add you to many groups. so Many friends + Joined in many groups = More notifications. Daily number-of Facebook e-mail notification in your email inbox will makes you irritate. Half of the life will consume to clear them :–) . This problem is not only to you; many people are facing this problem. 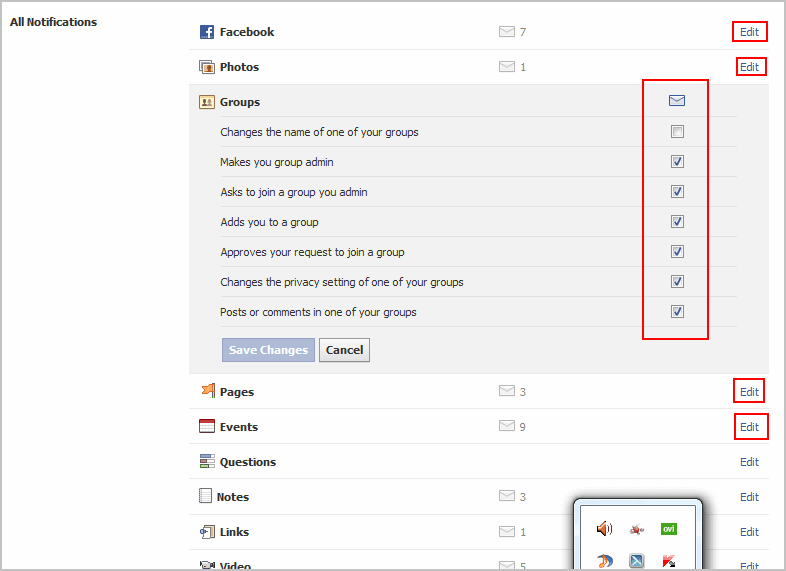 Don’t worry you can disable all the e-mail notifications by changing some settings in Facebook. Keep your email inbox clean by reducing the facebook email notifications in a single step. Enable the “Email Frequency” Option. From now you will get only one summary email notification with only important info. Edit button. Now you can Enable / Disable the notification settings selectively under the All Notifications section. Thanks for reading this Post. Please Share it to your friends. Thanks for sharing such useful information. I own a facebook account & love to chat with my friends but these notifications!!!! I was just irritated with many kind of useless notifications in my account and wanted to stop them & the above trick helped me a lot. @Lavanya Thanks for sharing your experience.. Follow Technicpage on Facebook to don’t miss many useful tips.